Spirits Platform, the home of The Edrington Group’s premium whisky brands in Australia, recently relaunched Naked Grouse blended malt Down Under. 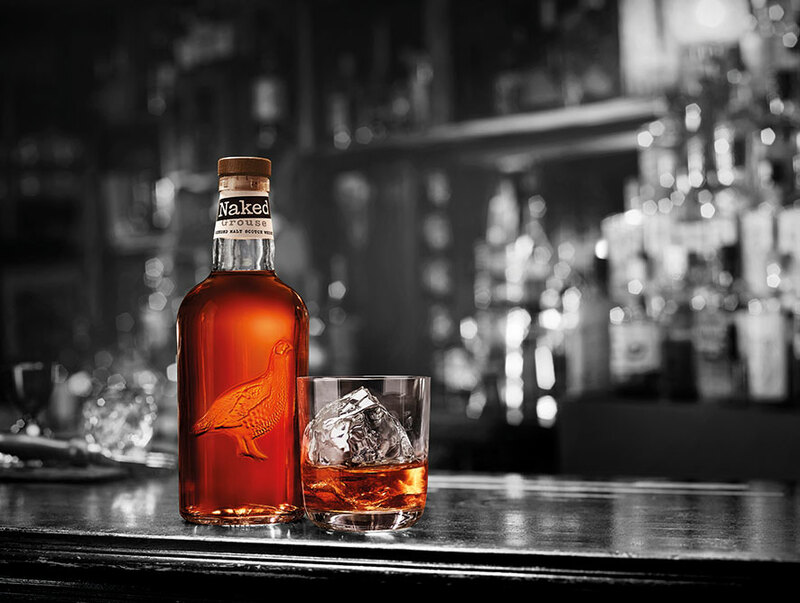 Naked Grouse blended malt is matured in first fill Oloroso sherry oak casks. It is from these ‘naked’ casks that haven’t held whisky before, that Naked Grouse takes its name and its distinctive flavour. Going back to whisky at its most uncomplicated, Naked Grouse is not about age statements, but a skilled approach and respect for the liquid. The ageing process, along with a blend of single malts results in a rich and fruity whisky with a soft spice finish and offers a more robust flavour than its predecessor. The new Naked Grouse blended malt has been made from a selection of the finest single malts (The Macallan, Highland Park, Glenturret and Glenrothes). Naked Grouse is the result of a clear understanding of the meticulous art of blending coupled with the care and craftsmanship from our Master Blender. After the blending process, the whisky is added to the first-fill sherry casks for at least six months. The whisky then goes through a final chill-filter before bottling. As a result, Naked Grouse has a buttery toffee scent on the nose which is malty and reminiscent of orchard fruits. On the palate sultanas, rich fudge and cooked apples come through, followed by a finish of soft spice and toasted oak. Designed to be enjoyed in the liberating moment with family and friends where people can truly be themselves, the packaging is simple yet distinctive, reflecting the ‘live naked’ personality and letting the quality of the whisky shine through. Elaine Miller, Naked Grouse global marketing manager, said: “The transition from a blended scotch to a malt is being made in response to increasing popularity of single malts and demand from bartenders for an accessible whisky with ‘distinctive flavour’. “Malt whisky continues to rise in popularity with consumers and, by changing our liquid, we can use the individuality and character of single malts and create a whisky which stands out from the crowd. The versatility of Naked Grouse means it can be enjoyed on its own or in mixed drinks and highball serves for an alternative start to an evening. The signature serve combines 50ml Naked Grouse with Cherry Cola or Cherry Soda, poured over plenty of ice and garnished with a squeeze of fresh lime and a cherry – delivering a freshness through the warm, sherry cask flavour of the whisky. Naked Grouse does things differently and isn’t tied to conventional whisky rules – encouraging people to be themselves. A modern scotch for free spirited minds who choose to #LiveNaked, Naked Grouse embraces celebrating your true self, harnessing that liberating moment of release. Loosen the tie, shut the laptop and get back to the real you.